Welcome to TheMentalClub.Com. Aadhaar Card is necessary for the identification of Indian citizens. However, there have been several issues raised between them, Why it is important to link Aadhaar card with Bank Account and mobile number online? But the government is becoming necessary Aadhaar for identification as well as for other works like Link Aadhaar Card with Driving License online, Link Aadhaar card with Bank account online and Link Aadhaar card with the mobile number online. In this article, I will tell you How to Link Aadhaar Card with Driving License Online. 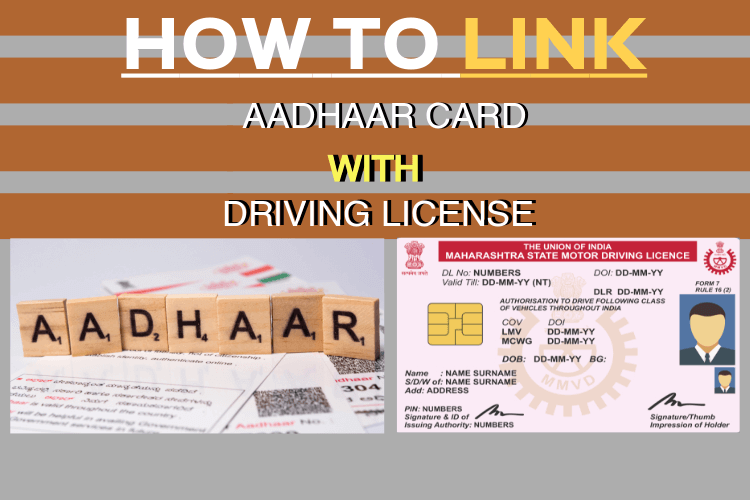 This Guide helps you to Link Aadhaar with Driving License Online in a few steps. So lets Start. The government wants to ensure that a person does not have more than one driving license for this reasons government wants to link your Aadhaar with driving license online. Linking a driving license from Aadhaar that mean also link all personal information of that person. It reduces the possibility of keeping more than one driving license. Answer: Keep your Aadhaar card and driving license details ready before linking Aadhaar card with Driving license. Follow these steps for linking Aadhaar card with Driving Licence. Visit the State Transport Department’s website. Go to the link Aadhaar card option on the website. Select the Driving License option from the drop-down menu. Enter your driving license number and click on the gate details option. Verify your driving license number. Now enter the 12 digit Aadhaar card number. Enter your registered Mobile number that already linked with Aadhaar card. After this you will get OTP on your registered mobile number. Enter OTP to complete the process and Click on submit button. How to Create Whatsapp Account Without a Phone Number?